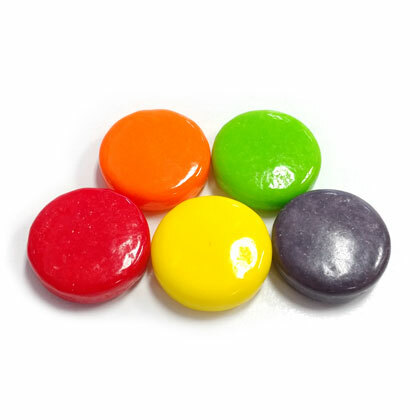 Chewy fruity disc shaped candies in vibrant colors. Made by Wonka. Approx. 14 pieces per ounce. 9 oz.